Ride the rails west to the American frontier and experience the magnificent Grand Canyon up close and personal. 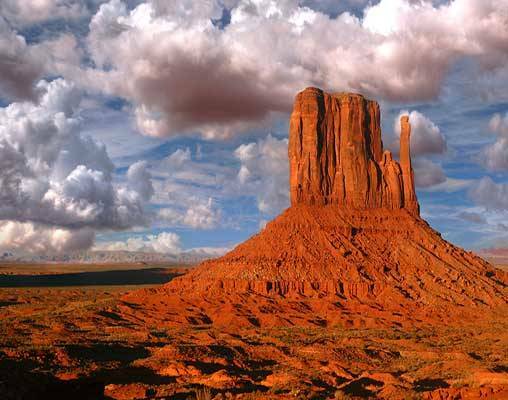 Trek through the changing landscapes of America's southwest as you travel from Chicago to Los Angeles. You'll have stunning views of everything from snow-capped mountains to sparkling cities. 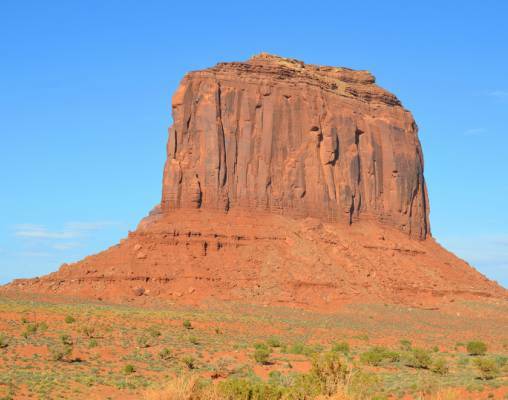 Kick off this amazing train tour with deluxe accommodations on the Southwest Chief as you depart Chicago and head toward Arizona. 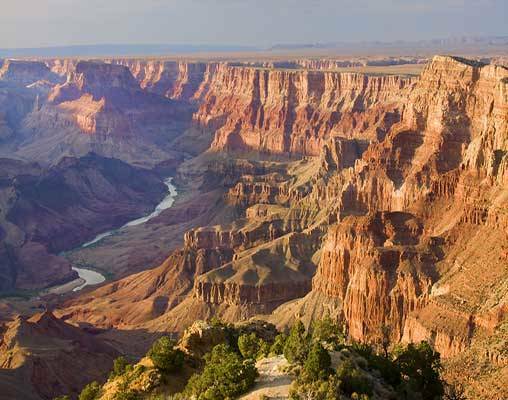 You'll arrive at the Southern Rim of the Grand Canyon to experience one of the seven natural wonders of the world. 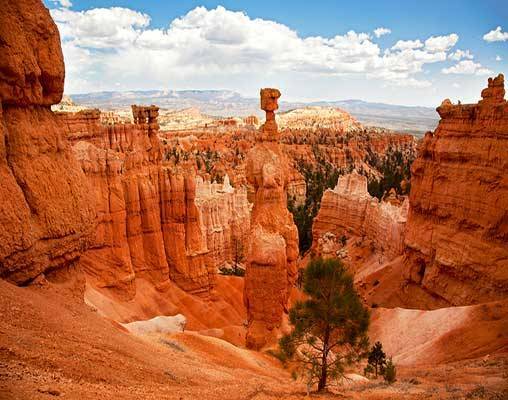 A tour is included for you to learn about this magnificent sight that was created over millions of years. The next day you have all morning to explore the Grand Canyon on your own before heading back south to Williams on a lively train ride. An overnight journey brings you into Los Angeles, where you will awake in this buzzing California city. The day is yours to explore ultra-hip LA's museums, beaches, or cuisine. Available for westbound travelers beginning in Chicago and concluding in Los Angeles. Ask a Vacations By Rail specialist for details. Get set for adventure as you board the Southwest Chief at Chicago's historic Union Station. Settle in your comfortable reclining seat with leg rest or private room (upgraded passengers) for a mid-afternoon departure. Relax, read or listen to music. Be sure to see the glass-walled Sightseer Lounge car with its swivel seats and expansive views. Have a glass of wine and toast to the marvelous journey ahead. You'll pass through the prairie, the plains and the mighty Mississippi River. Overnight train. As you head west, you'll notice the changing scenery, where snow-capped mountains and lush valleys come into view. Relax as you spend the day riding the rails over Raton Pass, elevation of 7834 feet, through New Mexico and Arizona. 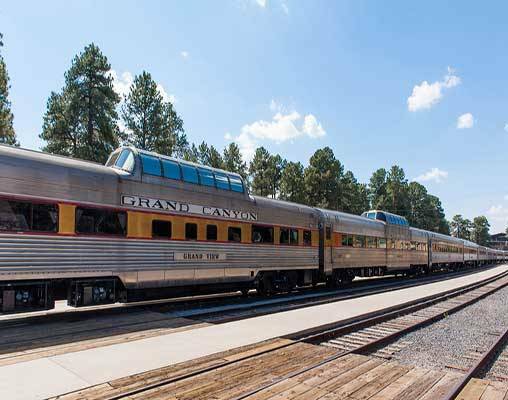 You'll arrive in Flagstaff, Arizona just before 9 p.m. and check into the Grand Canyon Railway Hotel. Overnight Williams. Day 5 - Arrive in Los Angeles -- Hooray for Hollywood! 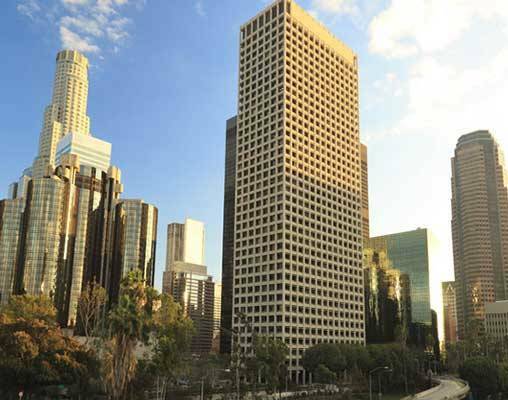 Your train arrives in LA's Union Station in the morning and you'll check into your hotel before you head out to explore this cosmopolitan city. See the extensive art collections in the J. Paul Getty Center or the La Brea Tar Pits on Museum Row. Who knows which Hollywood stars you'll run into while shopping on Rodeo Drive or Melrose Avenue? 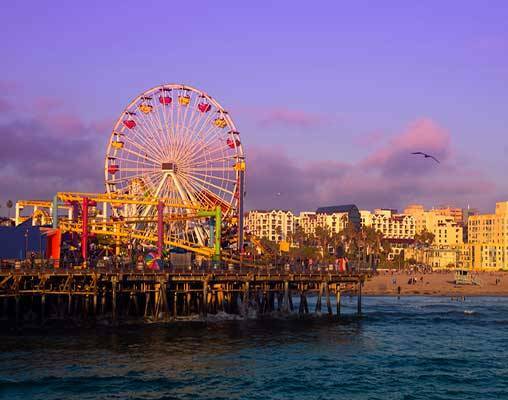 No trip to LA would be complete without visiting Venice Beach Boardwalk, TCL Chinese Theater or the Santa Monica Pier. Overnight Los Angeles. Plan to stay in Los Angeles for another day or two. Catch all the action at Universal Studios Hollywood, Warner Bros. Studios and Disneyland. Take an Amtrak train back to your city of origin or transfer to the airport for your return flight home. Hotels include the Grand Canyon Railway Hotel, Maswik Lodge, and Millennium Biltmore Hotel. Click here to view testimonials for Southwest Chief with the Grand Canyon - Chicago to Los Angeles. Enter your details below if you would like to be notified when 2020 dates and prices are available for Southwest Chief with the Grand Canyon - Chicago to Los Angeles. speed restrictions and other operating conditions.